Pro-life protesters have forced an abortion clinic to close, it has been claimed. Abortion clinics around the UK - including Marie Stopes which has a clinic in Belfast city centre - have been subject to protests outside their buildings with campaigners holding petitions, banners, placards and often graphic images. The British Pregnancy Advisory Service (BPAS) confirmed to the Belfast Telegraph that they had been informed an abortion clinic has closed as a "direct result of protest activity". However mystery surrounds which clinic it is as BPAS did not release the name. It is understood the provider had requested for it to not be public knowledge. BPAS denied that it is one of its clinics that is said to be closing. Marie Stopes, another of the UK's biggest abortion providers also denied the alleged closing clinic was one of theirs. Policy director for Marie Stopes UK Genevieve Edwards said: “We have never closed one of our clinics as a result of protester activity. Women in the UK have the right to access safe, legal abortion services, and this is written in our organisation’s DNA. Sadly, a small minority of people believe otherwise and would like to see the country take a backwards step on the issue. Pro-life group Abort67 who hold protests outside clinics, commented on the claims on their Facebook page and denied they harass women entering clinics. Ruth Rawlins of the group said: “Our volunteers hand out leaflets and have conversations with passers-by. No one is pressed to engage with us and no one is obstructed from entering the abortion clinic. "We simply present educational displays outside clinics to show women the results of abortion procedures." In a statement, from the same organisation Andy Stephenson said he feared the alleged closure of the clinic would be used to introduce physical buffer zones between protesters and clinics. Such zones have already been implements in France, Canada and parts of the USA. 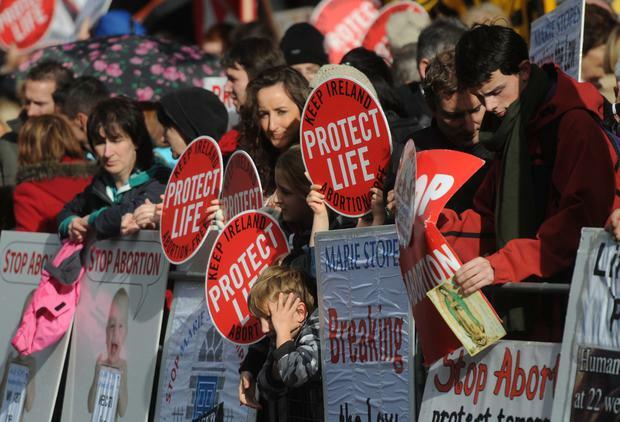 Pro-life campaigners called for "transparency" and for the name of the clinic to be released. Britain is set for a sunny Easter bank holiday weekend, that could break national records, after temperatures almost topped 25C on Good Friday. There are more people in Scotland now open to hearing the arguments for independence as a result of Brexit, Nicola Sturgeon has said.